"What does a social media specialist do?" you might ask, thinking this is an employee you don't need at your company. A social media specialist, also called a social media manager, is vital to media companies which want to stay ahead of their competition and make a connection with the community. Even if you assign your editors, reporters, and producers some social media duties, they'll never be able to stay on top of the efforts like a social media specialist. What hashtag is getting the most exposure right now and how can your content capitalize on it? Is your social media page built and being promoted across your website, blog, other social media accounts, on-air if you run a TV station, over the air if you're in radio and in print if you're operating a magazine or newspaper? Are you on Pinterest and should you be? Your social media specialist stays on top of the social media trends and makes sure you're a social media leader instead of a copycat. He or she is always aware of what's new, what's on the horizon and what's old school in the ever-changing social media landscape. From this information, he or she can develop and implement your company's social media strategy, social media policy, and social media advertising plans. All of these elements are crucial to your company's success and you'll often find they're continually tweaked as your audience grows. Are you thoroughly familiar with words like virality, reach, RTs, click-throughs, and +1s, to name a few? Your social media specialist is and he or she will analyze every number and graph to make sure you're getting the best ROI on social media. He or she can see what you're doing that's engaging your audience and what's not working at all. He or she is constantly monitoring your social media analytics and making adjustments as your audience's focus shifts from day to night and season to season. Social media is a fairly new player in the marketing game but it doesn't mean there aren't some highly-qualified people out there to manage your social media. 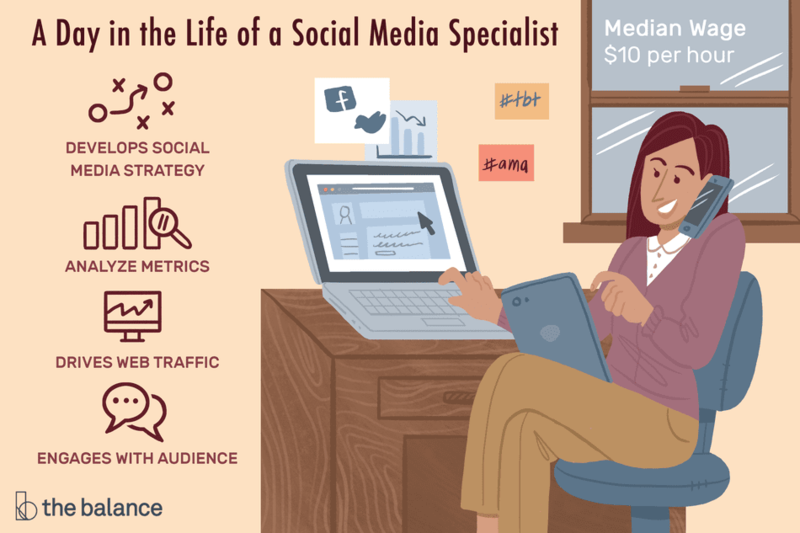 What you want in your social media specialist is someone who has proven experience, not someone whose qualifications are that he or she has a Twitter account and calls himself a "social media rock star." The expertise comes from managing other social media accounts. It's easy for you to track the success of his previous social media campaigns based on references as well as looking at the social media accounts he or she previously managed to see how they were written, how engaged the audience was in the message and matching that to your own expectations for your media company. You may not be completely on board with the idea that social media can make a difference for your company. However, your social media specialist knows how important it is to your entire marketing plan. He or she doesn't stop at posting some tweets here and there or updating your Facebook status. He or she is interacting with your audience on Google+, sending a promotional tweet through Twitter and combing through Facebook to find relevant pages you should be networking with to extend your fan base. Everything he or she does intertwines to drive traffic to your site, viewers to your newscast or readers to your print publications, all while making your company easily accessible to your audience. A reporter may tweet about a story she's working on for your 5 p.m. news. Three hours later a producer may post a poll on your Facebook page. Analyzing the social media stats? Not today. The intern forgot. A social media specialist is 100% dedicated to social media. Not only does he or she eat, sleep and breathe social media. He or she eats, sleeps and breathes your social media. Knowing everything there is about your media company coupled with everything he or she knows about social media means he or she is driven to make your company succeed. After all, the social media responsibility falls on his shoulders and if his efforts fail, he or she could soon be out of a job. You may be getting trounced by your competition's social media marketing or you both may be neck and neck. A social media specialist will catapult you ahead because his experience helps him identify your weak points, improve upon your strong points and find the holes in your social media that you can fill. Bottom line: if your competition doesn't have a social media specialist, you will quickly become the dominant social media force. If you're the one without a social media specialist, you'll quickly lag behind and look like you're neglecting one of the easiest ways to draw your audience in while raising your brand awareness.